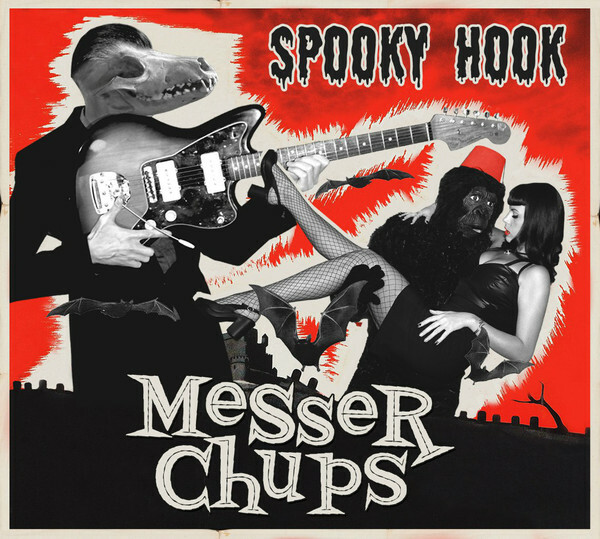 Here is a winning surf music album from the beyond compare St. Petersburg, Russia band Messer Chups. “Gitaracula” Oleg plays with a complex, wet, surfy, energetic twang. The beautiful “Zombierella” Svetlana on bass and Eugene on drums are an outstanding rhythm section. Mostly original compositions but with a couple of soundtrack references (track 7 and 11) and even a quote of Rachmaninoff’s Prelude in C-sharp Minor (track 4). Outstanding! !